Provide logistics collaboration solutions to help customers streamline their supply chain, reduce operating costs and improve productivity. Fortigo offers collaborative logistics services to streamline the supply chain, reduce operating costs, improve productivity and facilitate collaboration with carriers and vendors. 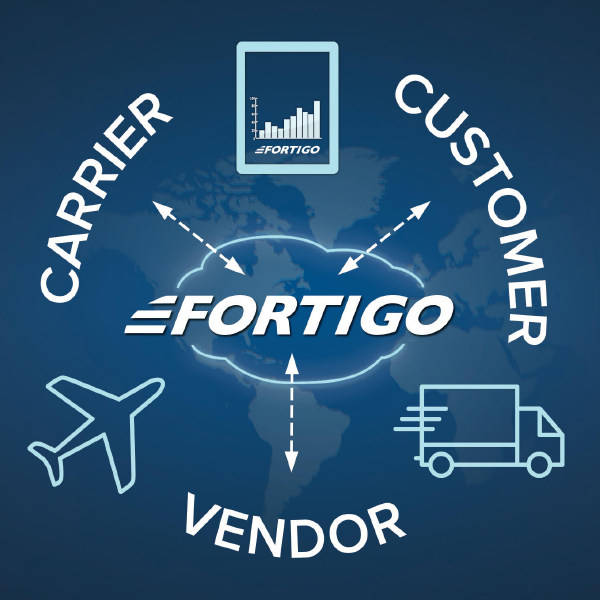 Fortigo On-Demand TMS delivers best-in-class, carrier neutral, domestic and international shipping automation, visibility, event management and freight audit. The Fortigo offering is based on the Software-as-a-Service (SaaS) model, accelerating implementation time while reducing costs. For companies seeking to reduce costs, improve customer satisfaction and increase profitability, Fortigo automates, optimizes and audits logistics decisions. Fortigo plugs into established supply-chain applications and provides rapid return on investment by optimizing and deploying closed-loop logistics processes, minimizing ship-to-order times and streamlining collaboration with logistics providers.